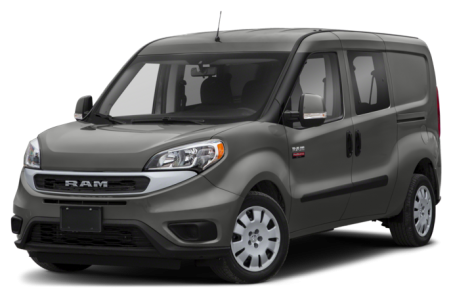 The 2019 RAM ProMaster City is a commercial van for cargo or passenger transport. It is powered by a 178-hp, 2.4-liter four-cylinder engine mated to a nine-speed automatic transmission. It has 131.7 cubic feet of cargo capacity. Maximum payload/towing capacity is 1,883/2000 lbs. Four trims are available: Tradesman, Tradesman SLT, Wagon, and Wagon SLT.